Got a penny, new recruit? Youâre on the team. Join the six buxom battle beauties of the Girls with Guns team as they fight to defeat the evil drug kingpin Hector and his team of crooked henchmen. This fast-paced slots title offers players the chance to fully immerse themselves in an entertaining adventure story, while also winning plenty of coins. The 5-reel slots game provides 243 ways to win, from matching symbols on 3 adjacent reels to scoring special symbols like, Wilds, Free Spins, Scatters, and more. Bets start at just one cent, but the stakes can also be ramped up to as much as $30 per spin for players who like bigger risks and rewards. With a 1080p widescreen display, smooth animations, and fun sound effects, the world of the Girls with Guns really comes alive in this title. Get to know each of the lovely femme fatales and their unique roles on the team: Katherine (leader), Kira (sniper), Zoe (tactical), Maria (artillery), Alex (demolition) and Jess (infiltration). This game is built on the same slots engine as the hugely popular Lord of the Rings title, so you know that the gameplay will be fun and rewarding. Special features include stacked Wilds and grenade-themed Scatters that trigger Free Spins where you’re guaranteed one whole reel of Wilds. “Reel Play Poker â Jacks or Better” – Video Poker Online at it’s best! There are a huge number of people who love playing the slots and there are an equally large number of people who love poker, and now Microgaming have come up with the latest new style game that will appeal to both markets; Reel Play Poker â Jacks or Better. 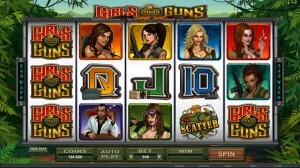 It is hard to define what type of game Reel Play Poker â Jacks or Better is. It contains all the elements of a slot machine with five reels and plenty of win lines,Â but actually plays like a video poker game with the payouts based on the standard winning poker hands. Once a player has placed their stake, the first poker hand is spun from the reels and then from that hand, the player can elect to âholdâ onto the cards they like. Any reels that are not held are then spun a second time and the winning hands decided by the cards that are now showing. The minimum winning hand, as the name of the game suggests, is a pair of jacks, which pays out 10 credits and the amount won increases to a Royal Flush, which pays out 8,000 coins. There are 20 paylines a player can select for each deal of the cards and there are no wild cards in play, just the traditional 52-card single deck which makes the game easier to understand. It is time to dive in the deep realms of the ocean to discover the innumerable fortunes waiting for a chance to be claimed. With a 243 way slot and the Giant Kraken placing random Wild Octopus on your display, you will have a chance to gain riches further than the wildest of your dreams! And while you are looking for the riches, do keep your eyes open for the slick Moray Eel who can double any win with his appearance. In between the game, the framed Baby Octopus appears only on reel 2 and 4 acting as a wild symbol. If the frame with the Baby Octopus appears on both the reels simultaneously, you are rewarded with a feature. 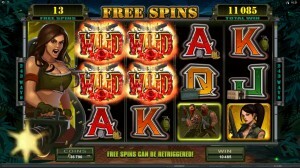 In case of 4 floating Octopus appearing on the screen on any reel except the 4th one, you are rewarded 12 spins for free. The Floating Baby Octopus are a wild that will replace all the symbols on which they land and floats away if a win is not completed. Another bonus wild, the Morey Eel, makes it appearance only during the feature on reel 3 and can multiply any win with it as a substitute or with a floating Octopus by 2 times. The appearance of the mythical marine monster Kraken is the reason why the main feature of the game is named so. The advanced and detailed graphics depicting the treasure chests, anchors, helmets and marine life gives life to the undersea theme quite well. 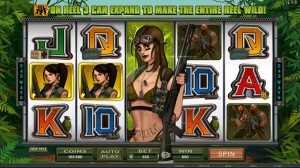 The game is designed for experienced level players and offers a maximum of 300 coins. With all these features and the chance to make extraordinary fortune under the sea, the game is a winning choice for those who are looking for entertainment. For game lovers, it is time to throw caution to the wind and dive in the deep ocean waters.